Welcome to the JVNP 2.0 Weekend Update, featuring a primary JV invite courtesy of fellow JVNP 2.0 Partner Han Fan (Mapify360 launch affiliate program JV invite), Buzz Builders (Craig Hamilton – Evolving Wisdom – The Practice of Direct Awakening 2019 launch, Aidan Booth + Steven Clayton – Parallel Profits pre-launch), and More … in Today’s unlimited local leads from G Maps & GMB profile optimization edition. 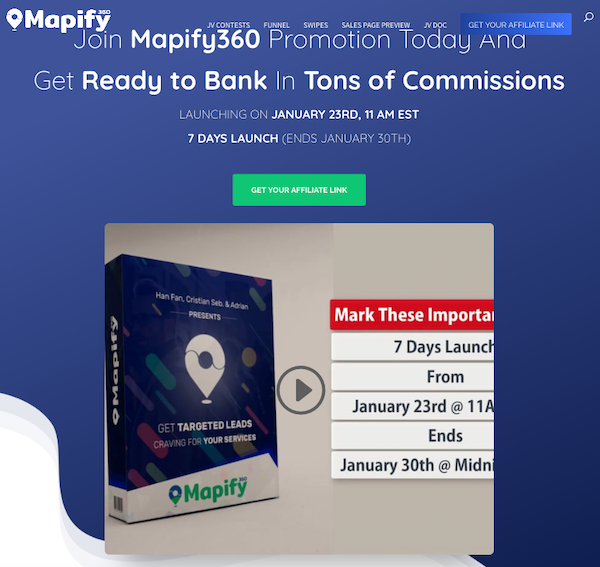 Fellow JVNP 2.0 Partner, join the Mapify360 promotion today, & get ready to bank tons of commissions. ALREADY the JVZoo #1 Top Seller … Don’t Miss Out! Short on Time? Jump Right on Over to the JV Page. Mapify360 is a Cloud-Based Solution that helps marketers around the world Find and Identify “Un-claimed” or “Un-Optimized” Google My Business Local Leads. This POWERFUL TOOL is a fully equipped ARSENAL for Google Maps & Google MY Business Optimization. Local is becoming more and more popular, and the demand for locally based services is becoming widespread. In 2019 it’s crucial for local businesses to get on that 3 Map Pack, and with Mapify360, you can scan the exact factors and download the report for each of the found leads! – Profit by Selling GMB Optimization Services to Local Leads. – Find Unoptimized or Unclaimed Local Business Leads. 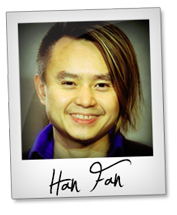 – Create Professional Looking SEO Optimization Reports. – Establish Local Authority with data visualisation SEO Reports. We’ve added the full process to Mapify360 so your customers will look and feel professional when using our platform to find and close more clients. Closing Clients just got easier! Mapify360 comes with done-for-you Email Templates to use in conjunction with the professional Local SEO Reports to make client closing easy for everyone! … Plus Dozens of Other Great Features! Earn Your Share of up to $10,000 in Prizes! Proven and Tested High Profit Sales Funnel! High Converting Email Swipes Updated DAILY! >>> Find Out How to Grab Your Promo Tools & More Here. 12-Week Online Meditation Course with Craig Hamilton, founder of Evolving Wisdom, and creator of the Integral Enlightenment transformational academy. TPoDA has been successfully launched LIVE 3 times, since 2016, and has the lowest refund rates of all our programs. EPCs average $2-3 and EPLs $4-5. Affiliates will earn 40% commission on the platinum ($847) and gold ($547) options, as well as upsell and downsell offerings. Craig Hamilton – Evolving Wisdom – The Practice of Direct Awakening 2019 affiliate registration. Start Off the New Year with a BANG … $1248 Commissions Per Sale – $200K Prize Pool – $50K Top Launch Prize & More! We’re expecting this to be our biggest launch to date and a huge pay day for JV and affiliate partners. As usual, you’ll cash in with: – $1248 commissions per sale. – $200,000 prize pool. – $50,000 Top Launch Prize. – $2 per lead during pre-launch. Product details + JV info: Aidan Booth + Steven Clayton – Parallel Profits JV page. Promote This Brand New MMO Only on CLICKBANK. The Triad Excel Team is back with Private Cash Sites. Coming off the heels of the wildly successful Explode My Payday launch, this offer will slay it for you to kick off your February with a bang! We’re launching from Feb 15th to Feb 25th … a total of 10 cash-filled days! Steven James, John Saeger + Justin Francisco – Private Cash Sites – 5K Giveaway JV page. Over $17 Million in TWS Sales have been generated over the past 10 Years … Grab Your Share of Commission & $83K in JV Prizes! We hope that we can count on you to join in on this year’s content filled Summit! We have a great line-up planned and we will not disappoint. On top of the regular 50% commissions, we will also have over $83,000 in leaderboard prizes! You can see all the launch details by going here => Alex, Nick + Jessica Ortner – The 11th Annual Tapping World Summit JV page. The DreamBuilder® Program Launch is BACK!!! Pro Affiliates … Share Incredible FREE Content with Your List, Earn Massive Commissions & Take Home Your Share of $50K in Prizes! Launch Dates: March 7 – March 25, 2019. This is the ONLY TIME the DreamBuilder Program 2019 will be Available, This Year … Don’t Miss Out! Mary Morrissey – DreamBuilder Program 2019 JV page. Mark Ling, Todd Brown, Sara Young + Andrew Hansen, Josh Mandel, John Di Lemme, Travis Stephenson, Terry Dean + Frank Garon, and other fellow JVNotifyPro 2.0 partners are waiting in the wings … keep your eyes on your Inbox, and follow the action in the JVNP 2.0 Premium VIP JV Announcement archives.